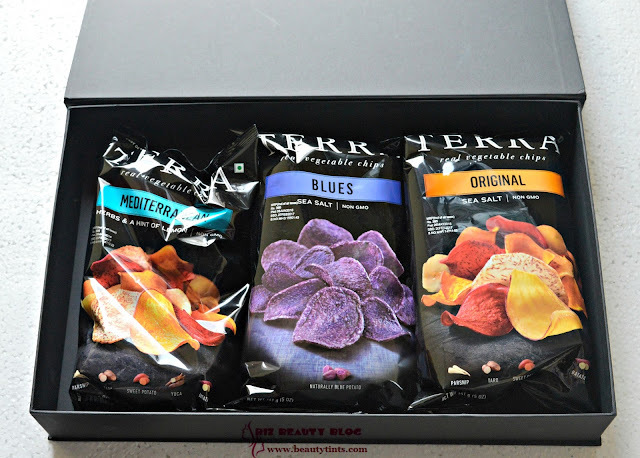 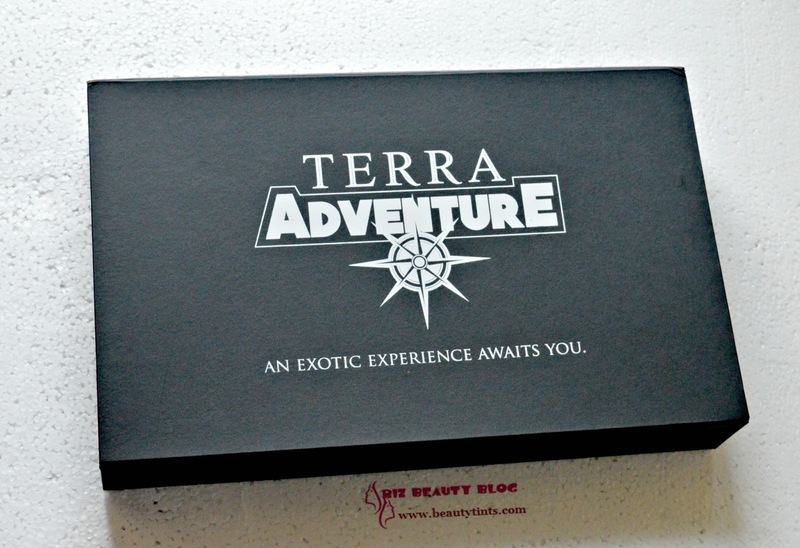 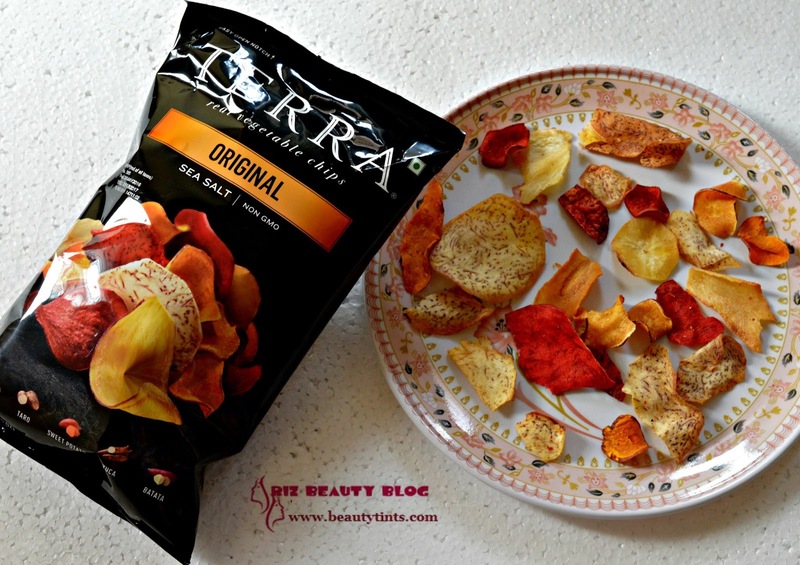 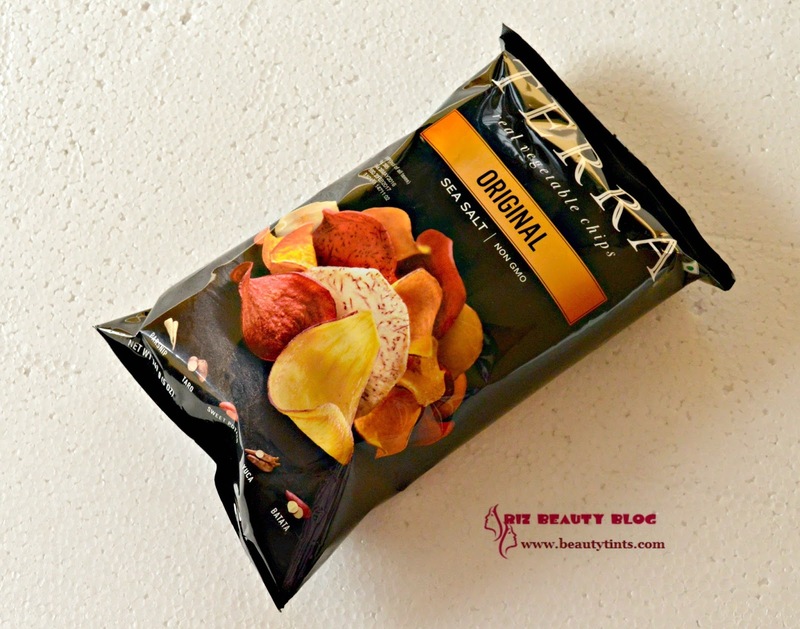 Sriz Beauty Blog: Terra Chips- The Perfect Party Starters!!! Recently we had a big family gathering as my cousins, brother and other relatives came from abroad. Most of them are diet conscious and so we had to plan for healthy and better alternatives. We planned for everything right from main course to desserts but the main issue was to plan for healthy starters. 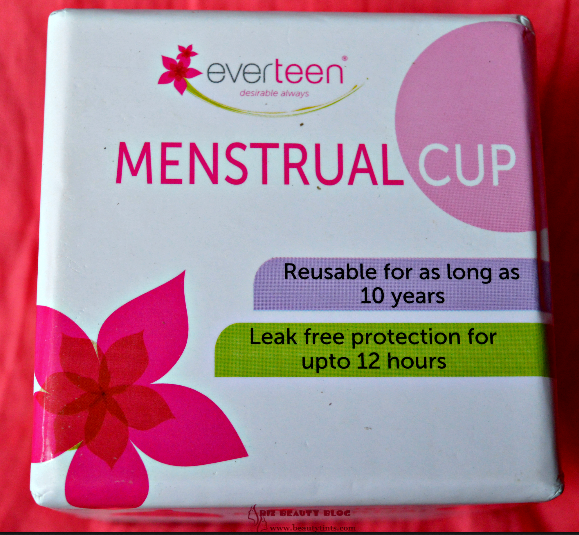 So, I started searching for different options in the web for starters. 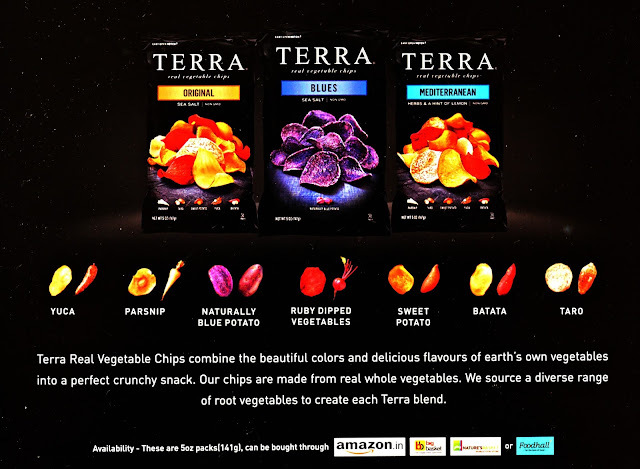 Finally I found out the Terra Chips,the Real Vegetable Chips for Starters. I am glad that I found the perfect party starters, which are not only guilt free but also gluten free and super healthy! 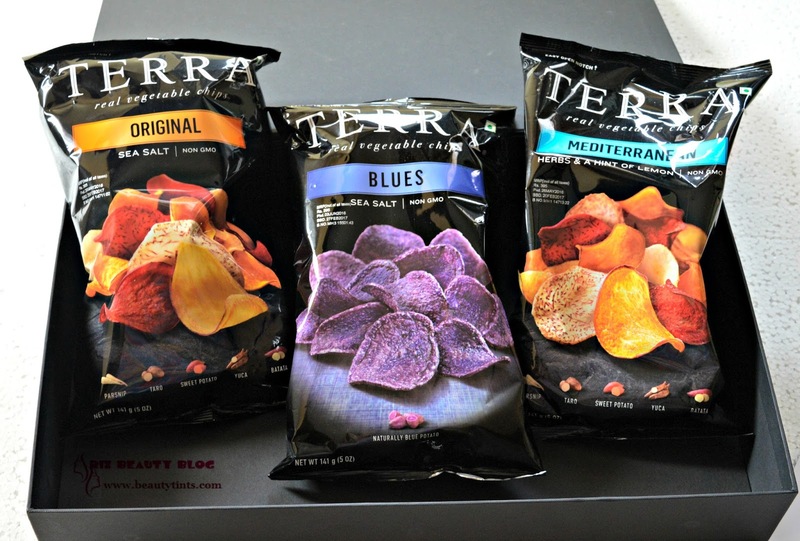 These Terra Chips are available in different variants like Exotic Vegetable Chips & Sweet Potato Chips in three different flavors each. 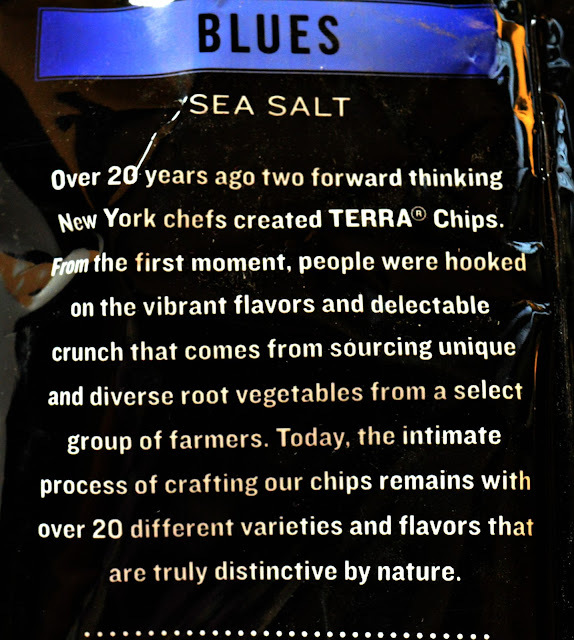 We ordered Exotic vegetable chips in all three flavors like the Original, Blues, Mediterranean. All three flavors have their own unique and special taste. 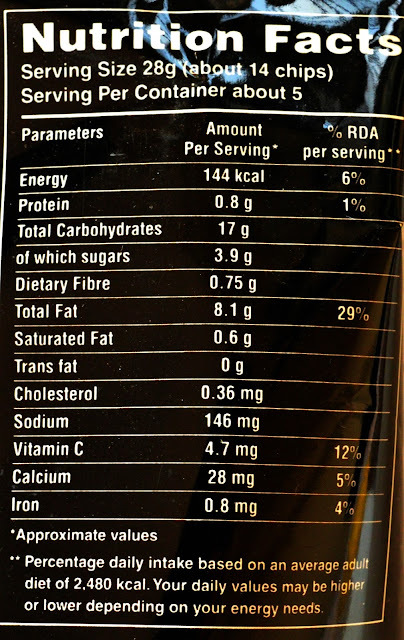 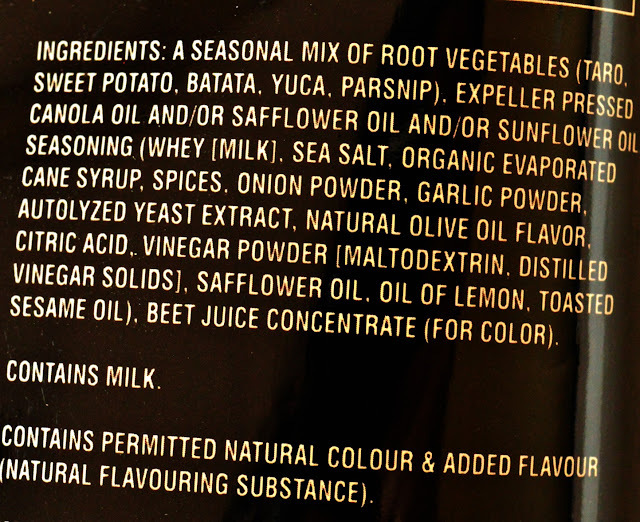 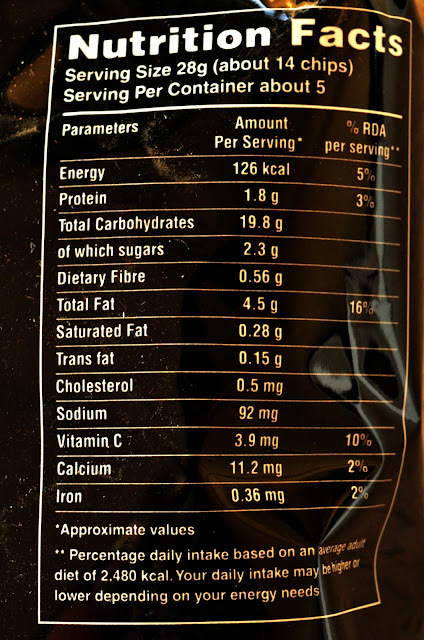 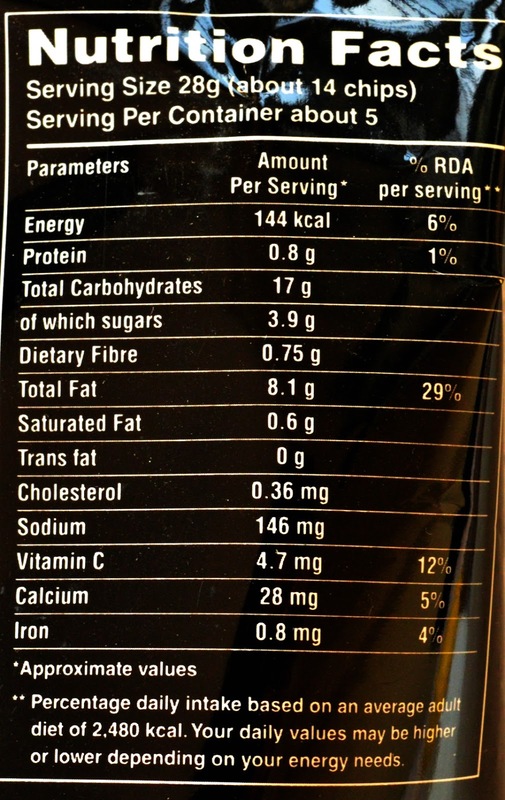 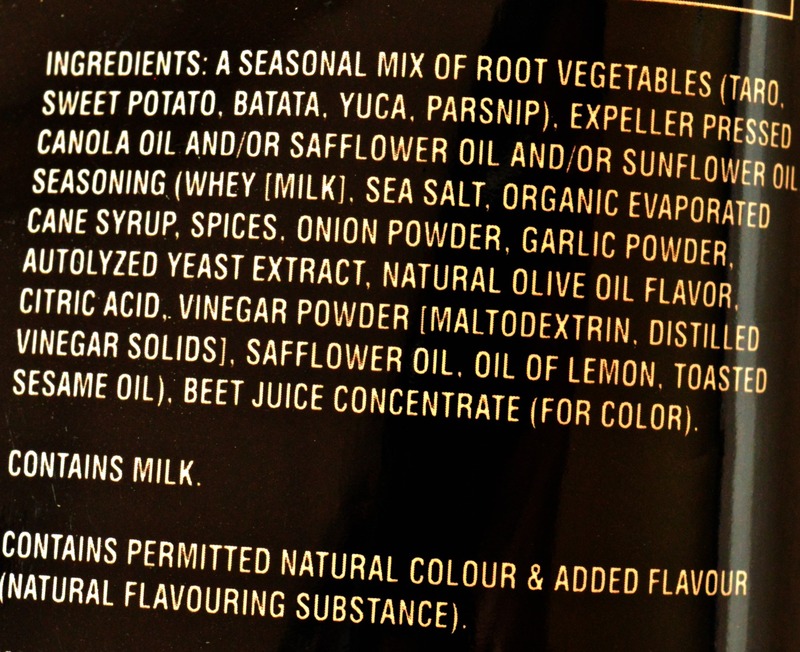 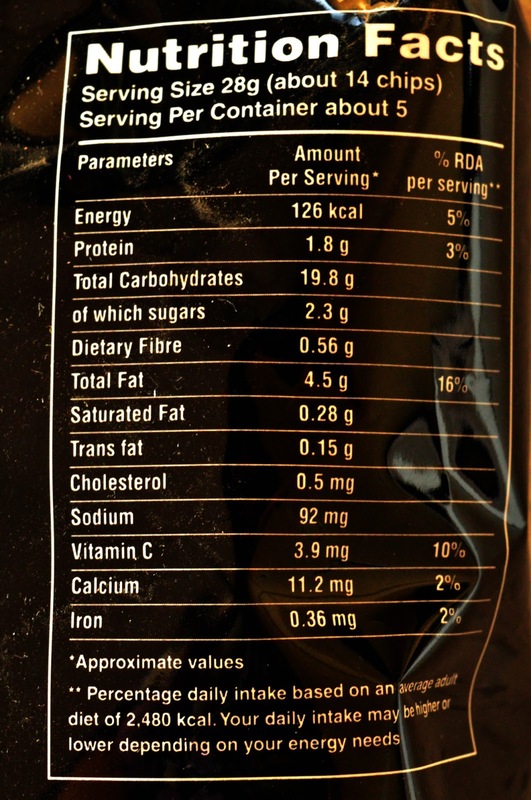 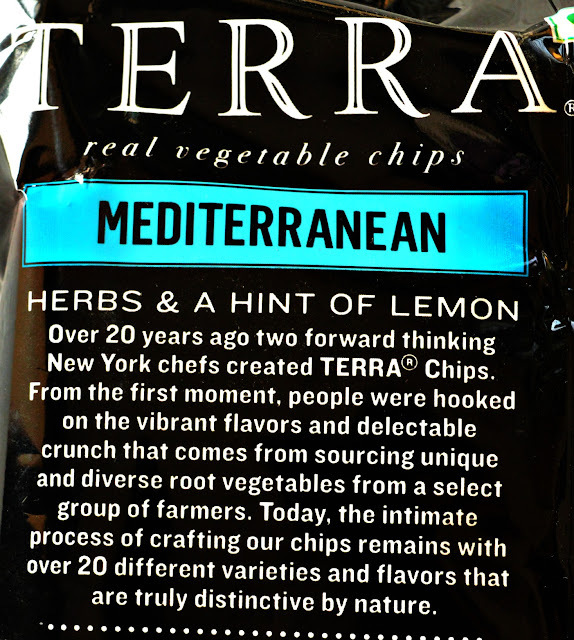 Each flavor comes with a specific ingredient list and nutritional information. 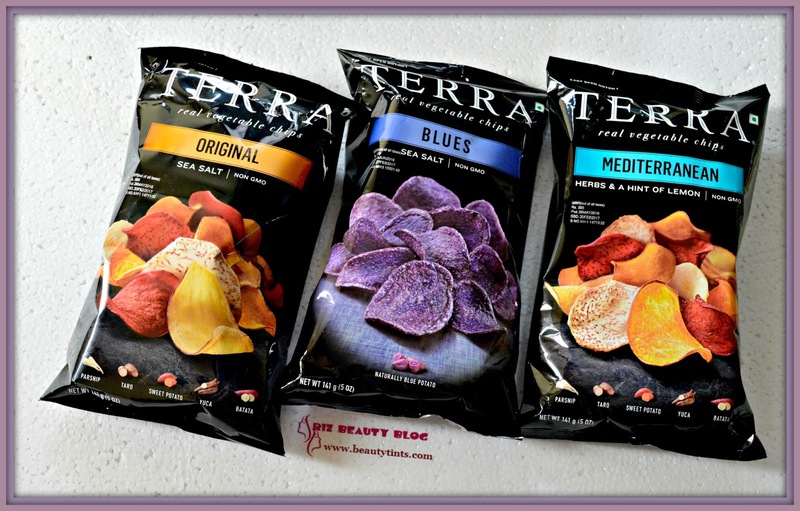 The specialty of these Terra chips is each chip is made from real whole vegetables with their rich color and flavor.These are the complete game changers in Healthy Snacking category! 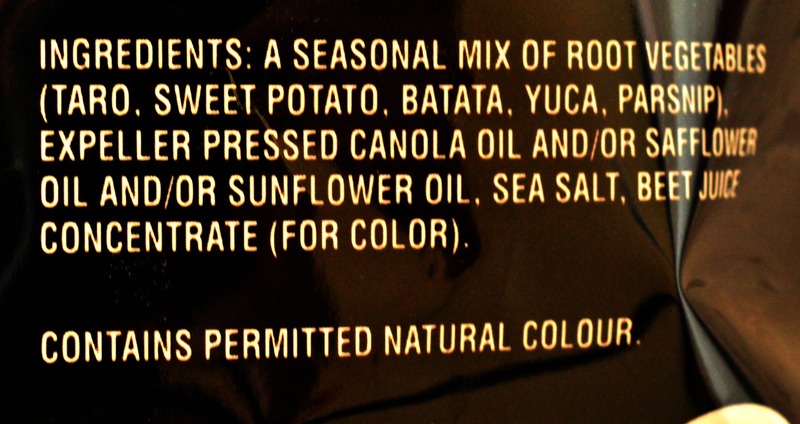 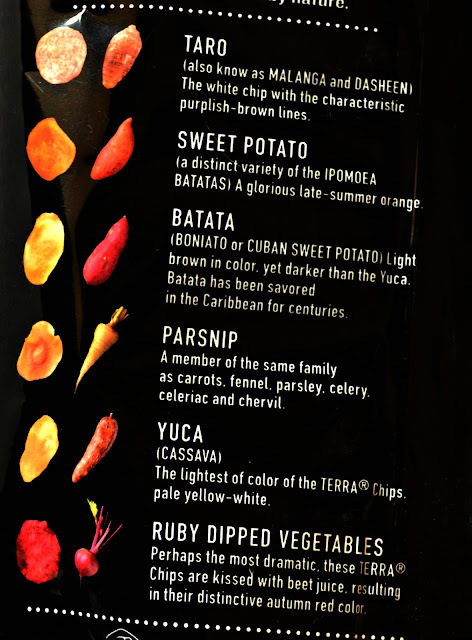 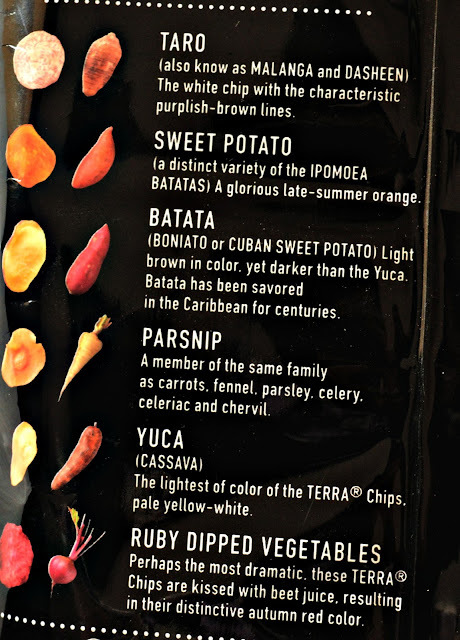 Terra Original Chips: These are a mix of different root vegetable like Taro, Parsnip, Sweet Potato, Yuca, Batata, Ruby dipped vegetables and these are just plain salted ones. 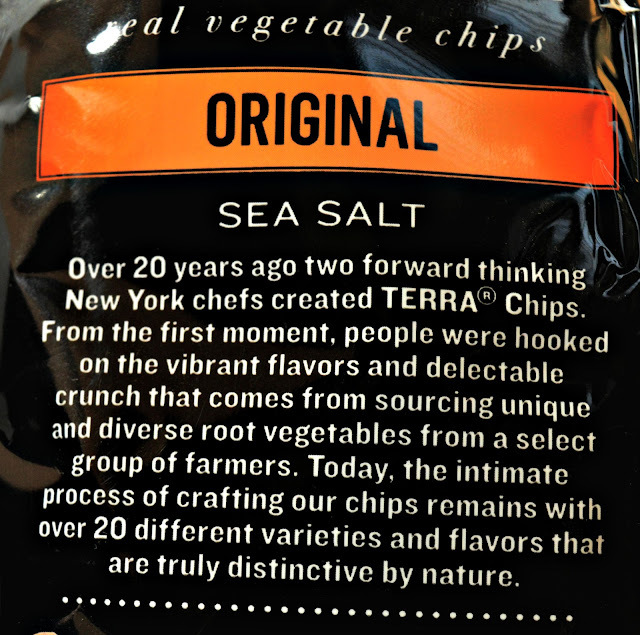 These are salted with Sea Salt. 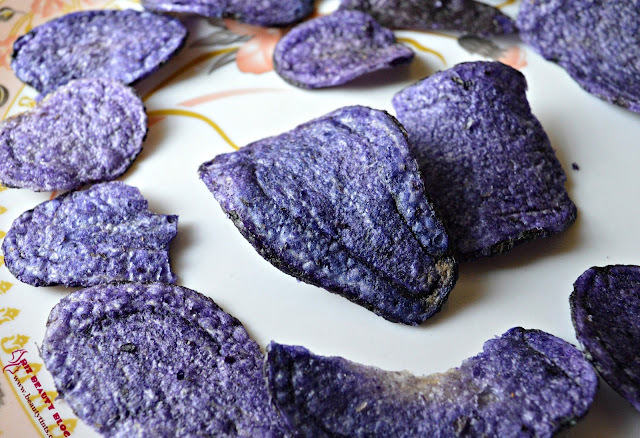 I liked the pink ones and my hubby liked the taro ones, which are white chips with purplish lines. 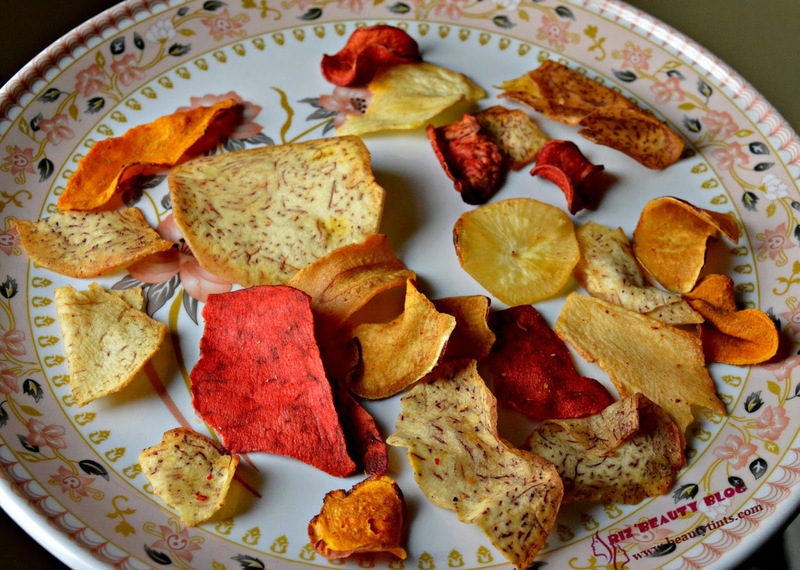 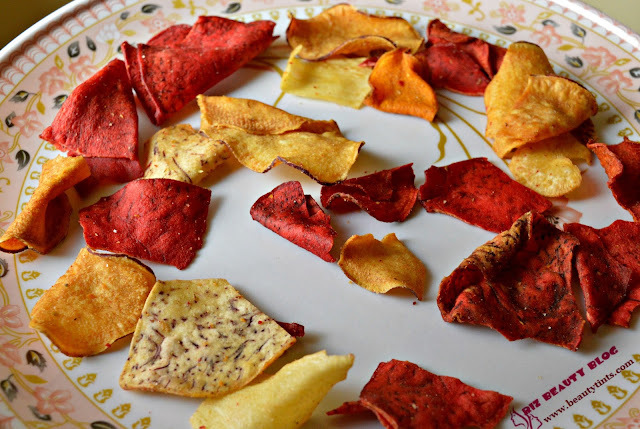 Terra Mediterranean Chips: These are also a mix of different root vegetable like Taro, Parsnip, Sweet Potato, Yuca, Batata, Ruby dipped vegetables but these are flavored with spices and herbs along with a dash of lemon, which makes them a perfect starters for those who love that tangy crunchy bites. 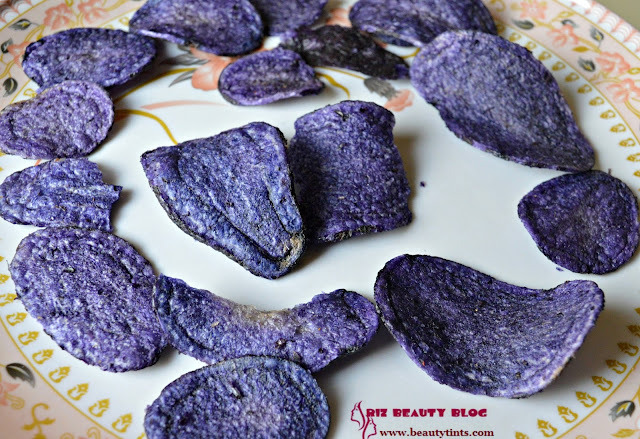 These are super yummy and everyone loved these. 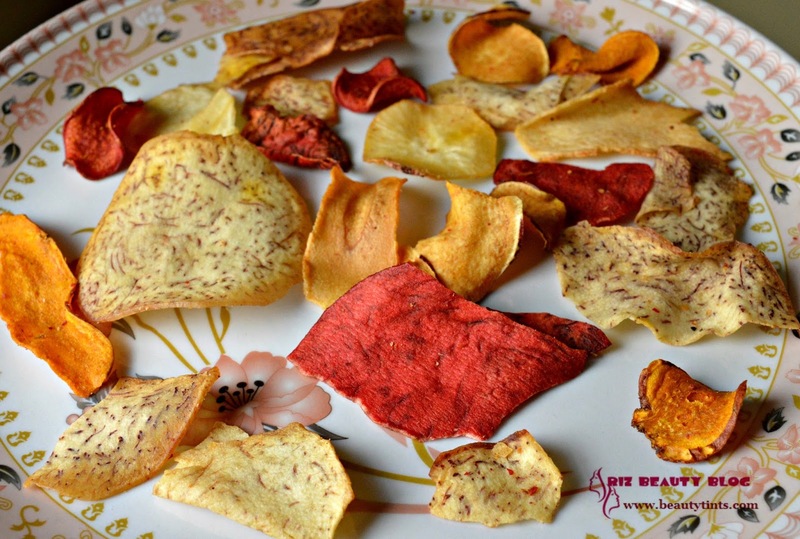 The flavors are so exotic and the tangy after taste makes us to crave for more! 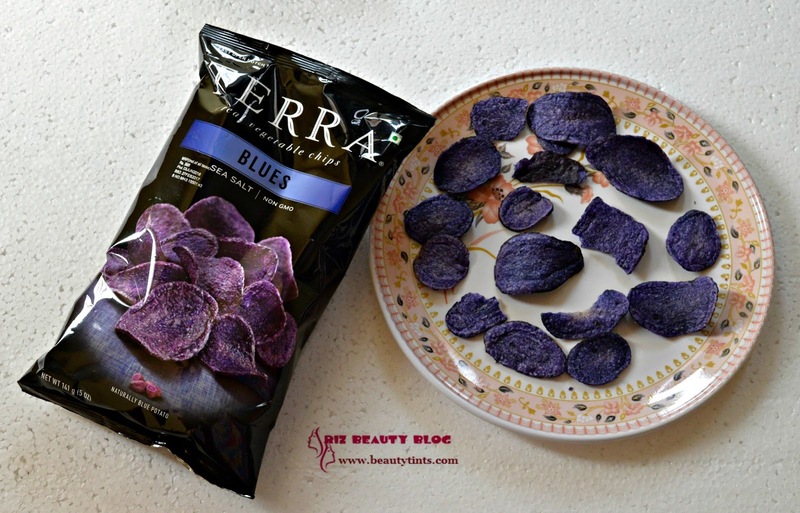 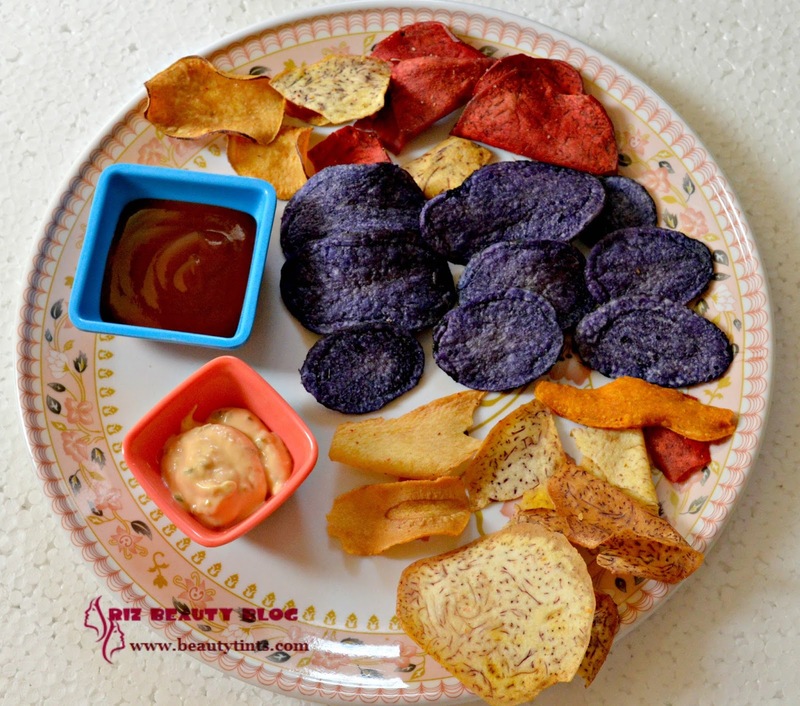 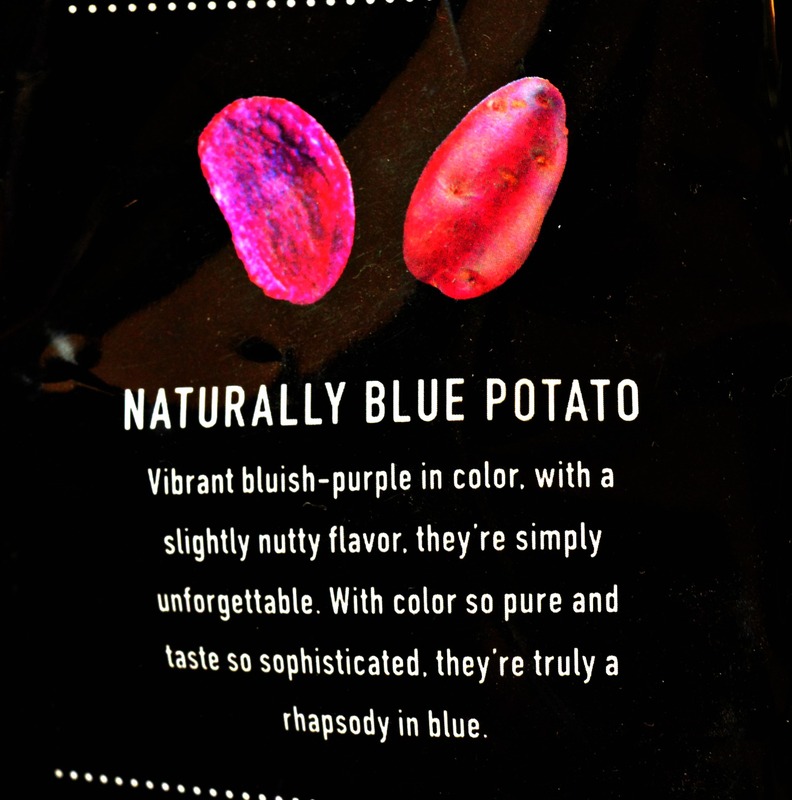 Terra Chips Blues: These are exclusively blue colored chips made from blue potatoes. 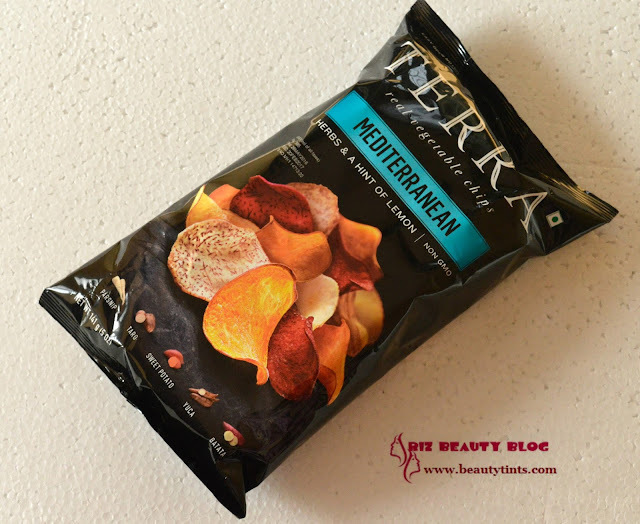 These are the yummiest of all the 3 variants we have tried. 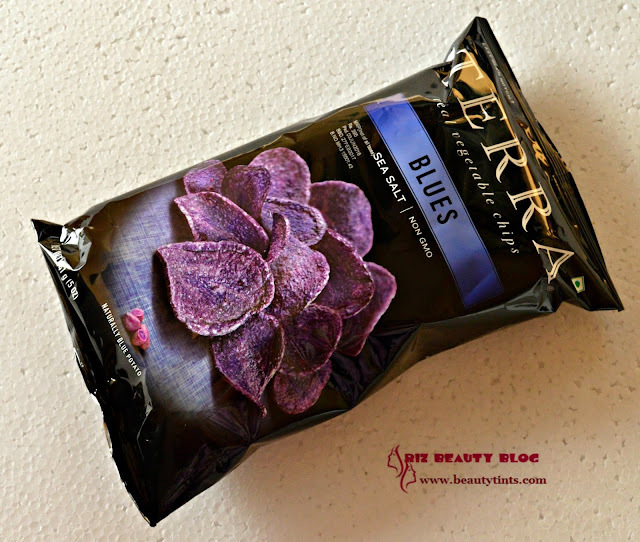 These taste a bit similar to our beloved normal potato chips but these contain very less calories compared to them. These make the best alternatives to the original potato chips. 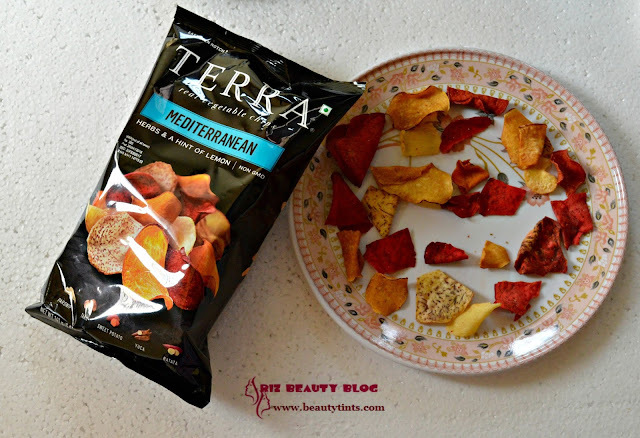 We offered our guest these amazing Terra chips with different dips like Low fat cheese dips, Tomato sauce, Olive oil Mayonnaise etc., The response was wonderful. 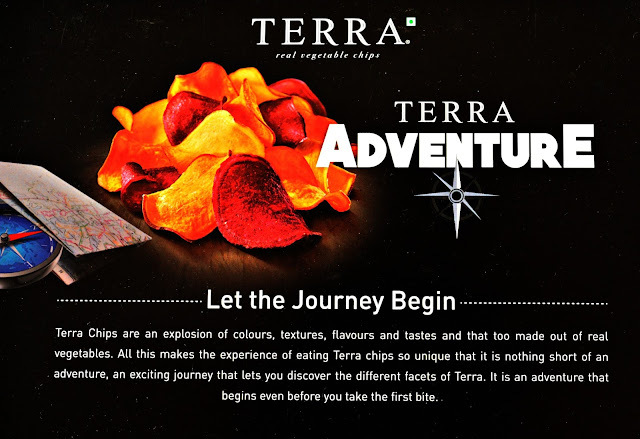 Each and everyone loved these chips especially the kids, as these Terra chips are very tempting with rich colors ,super exotic taste and crunchiness. Each vegetable tastes different and when tried with different dips, it made the entire party an Exotic experience. 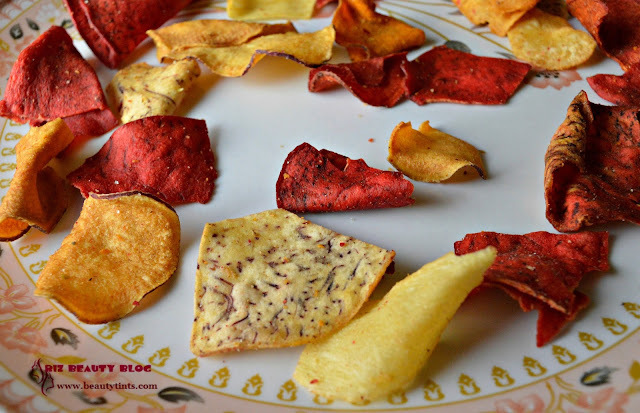 The taste is so relishing and my cousins and relatives enjoyed the party more than expected because of these! I am sure that these Terra Chips are going to be our staple Gourmet Snacks and these will definitely replace the unhealthy snacks soon!